Connecting Our Clients With The Best Talent & Expertise. Talent that Soars Above the Rest. Driven To Build The Team You Need. Looking for a job in the simulation, training, aerospace, defense, high technology industries? We can help you find that dream job! Tired of sorting through resumes? 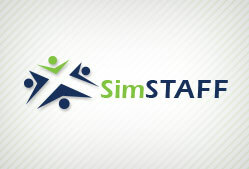 When you work with SimSTAFF we find the candidate so you can do your job. SimSTAFF Technical Services is proud to be a Certified Veteran Owned Small Business and the premier talent acquisition leader in the defense and high technology industries supporting our simulation, medical, training, and aerospace clients. When clients work with us, they get the most skilled and driven candidates. And when candidates join us, they’re connected with their dream jobs. Working with SimSTAFF means everyone wins.